By the late 18th century, telescopes became very sophisticated. 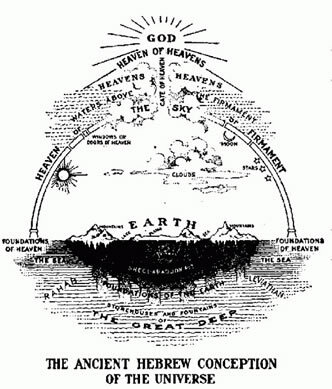 So much so that that deep space could be perceived in 3D, making it evident that planets and stars weren't attached to the 'firmament' as previously believed. German astronomer Johann Bode (1747-1826) was astounded by the harmony and order the planets displayed amongst each other, that their spacing from our star produced a perfect mathematical sequence. The only exception was the big divide between Mars and Jupiter. In 1772, he predicted that in that area an additional planet would be found. He was right; however not just one but many would be found within this interval. It was January 1, 1801, the first day of the 19th century, when Ceres was discovered - the first member of the asteroid belt. Within a few years, Vesta, Pallas and Juno were spotted. By the end of the 19th century several hundred irregularly shaped objects were catalogued. At present there are about 20,000 named asteroids. Down to the size of a grain of sand, astronomers estimate the number of main belt asteroids to be in the millions. One most amazing synchronicity is that the discovery of celestial bodies seems to be in step with human evolution. Planets tend to be discovered when collective consciousness has readied itself to branch out in new directions, when times are ripe for new layers of life to be unearthed, when yet unexplored facets of human nature are about to take center stage. The discovery of the asteroids belt initiated the age of individualism. The emerging 19th century would open countless new perspectives and possibilities. The French Revolution of the 1790's and the independence of the United States in 1776 are the big markers, initializing the Modern times. Abolitionism was born, equal rights were proclaimed and - at least conceptually - everybody was given the same chances to develop their skills and talents. A new flavor of freedom and self-realization was setting in, promising the transformation of society into a body of accomplished individuals with unique talents and insights. Within the Solar system the asteroid belt holds a strategic position. In astrology, the inner planets Moon, Mercury, Venus and Mars are called 'personal' planets. Their placement in a birth chart reveals how we think, feel and act; whereas the Sun's position describes the quality of our being. 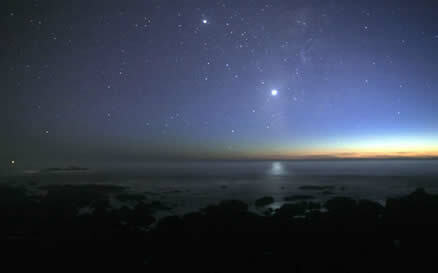 The inner planets are very close to the Sun, they're within the light of our star's luminous aura. This makes us assume that thinking and feeling are aspects of our being. And indeed, we're very much identified with our thoughts and emotions. It's very difficult to see that they're not really us and ours. One needs to set out on a path of self-inquiry in order to recognize that thinking and feeling have nothing to do with who we really are. We absorb thoughts and emotions from our environment, they're provided by society, they reflect the values of the culture we're born into and the people we are related to. Outside the asteroid belt we find the giant planets, Jupiter and Saturn. Called 'social' planets, they're describing our involvement and interaction with society at large. And then, further out towards the fringes of our Solar system we touch the spheres of Uranus and Neptune, of Pluto and numerous newly discovered mini planets. All of these move extremely slow, thus they're reflecting 'generational' themes. Their nature is 'collective', 'transpersonal' and 'spiritual'. The main belt asteroids form the critical link between personal and collective identities. The many available roles and characters represent the countless ways how personal identity weaves its threads, enriching the collective pattern. 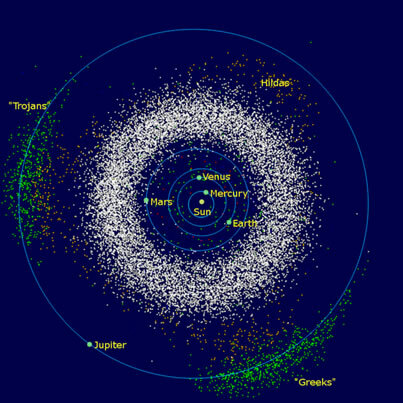 It's noteworthy that most of the asteroids are named after goddesses. These mythological characters are archetypes, they're gifted with special skills and talents. Dedicated to serve, they refine and improve. Taking on challenging tasks makes them thrive. Oftentimes they're ready to subordinate work to pleasure. They feel rewarded when their efforts are recognized, their skills appreciated and their creations welcomed. However, their most basic motivation is the joy and fulfillment of being creative. Success or recognition isn't their first aim, it's much more about self-realization and the adventure of surpassing oneself. Being creative means opening oneself to divine inspiration; surrendering to supernatural guidance. Becoming a vessel for spirit is a transcendental experience. Asteroid goddesses accompany us on our sacred journey from subjective to objective reality. We're starting off with the ego to end up with god. Studying present planetary alignments I felt compelled to write about asteroids. Favorable placements of many asteroid cheerleaders promise encouraging moves and groundbreaking developments. Ceres, Earth goddess of harvest, and Vesta, goddess of home and hearth are both in Libra, suggesting that people may get closer together, uniting in striving for more equality and social justice. Pallas, goddess of mental powers and scientific inspiration is in Virgo, adding methodology and convincing logic. Astrea, the goddess of justice is ready to take on difficult and seemingly hopeless tasks. She is in the humanitarian sign of Aquarius, joined by Juno, goddess of devoted partnership. She knows that it takes many pillars to hold a big roof. Finally there's Hygeia, goddess of health and well-being, at present in Taurus. Still in retreat for the coming two weeks, Hygeia will be back in her full stature after winter solstice, emphasizing how to care for and preserve Earth's limited natural resources. Planet Mars is now in Libra. As mentioned in last week's column, keywords are teamwork and negotiation. On Saturday, December 7, the WTO (World Trade Organization) announced a historic breakthrough. Ministers from 159 countries reached a deal intended to boost global trade. This BBC article quotes WTO chief Roberto Azevedo: "For the first time in our history, the WTO has truly delivered. The organisation reached its first comprehensive agreement since it was founded in 1995." This agreement intends to reduce worldwide trade barriers and tariff restrictions. Rich nations agreed to support poor countries, which most likely will boost the world economy, eventually generating millions of jobs. It's auspicious that the waxing half Moon in Pisces coincides with a #1-day in the Dreamspell calendar. The 8th day after New Moon is the most dynamic of the 30-day Soli-Lunar cycle. Obstacles, hindrances and potential conflict should be seen as opportunities, releasing the necessary adrenaline to push our limits and overcome inhibitions. With the Sun in hexagram #26, the theme of this week is adventure. Says the guidance for hexagram #26: 'Be firmly committed to your goal. This is not the time to keep to oneself, but to engage in adventure.' The Yellow Magnetic Sun initiates a flowering cycle. Yellow represents South; fulfillment and release are the keywords. Loudly proclaiming your maxims and living up to our ideals is contagious. Spread the word! Meaningful communication is one of the most valuable human experiences. One single spark may set the world on fire! All there's needed is applying one's intelligence, and offering one's input at the right moment. Remain resolutely focussed, concise and speak up in gentle fashion. Beware, today's Aries Moon tends to be somewhat impatient. Beginning at sunrise, the late Aries Moon is void-of-course 'til 1:40 p.m. As is with void-of-course Moon energy, the very awareness that a situation might be delicate or even difficult takes off its edges. When properly prepared we can take on almost anything. Or in other words, doing one's homework is what really matters. It provides the necessary confidence which will enable us to sit back and keep calm, even admits challenging and adverse conditions. The Taurus Moon is in well-grounded and resourceful, but also quite conservative. The Yellow Overtone Seed suggests that there's lots of creative and inspiring energy hanging around. Allow to let go of outlived structures. Be courageous and move on, deeper into the adventure. This is the magic key to harness and release the potentials of this day. Ten days left to Christmas! If you still need to get some gifts, today might your best chance. Actually, Saturday morning might still be surprisingly quiet, so better get it done while it's not too crazy yet. Whatever you have your eye on will most likely be of lasting value and mean lots to the person you're intending to gift it to. The Red Rhythmic Serpent connects us with our gut feelings. The trick is to take immediate action when your intuition is poking. Life at times moves so incredibly fast, so either you grab it or it's gone. The Gemini Moon is approaching its fullness, the atmosphere begins tasting rich and inspiring, there's excitement in the air. However, there's also some sort of bewilderment hanging around. We might have to deal with something that went out of hand, something that needs our loving attention and dedicated effort. The White Resonant World Bridger adds a wise and forgiving tone. Bridging the gap, able to see both sides of the story makes it not too difficult to apply the correct remedy.